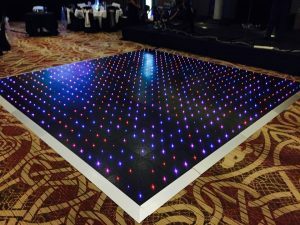 A personalised dance floor to suit any occasion. With programmable intelliLED’s you can tailor the floor to suit the theme of your day, including multiple colours, patterns and text. Don’t be afraid to get your groove on either, that’s what it’s for! Looking to add that special something to your ceremony? 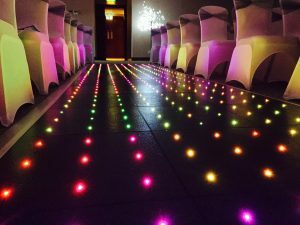 Why not spice it up with an LED isle and walk into your happily ever after in style. We always provide someone to set up and monitor the dance floor so no need to worry about that.